The ancient Subramanyar temple at Vallakkottai (Kodai Nagar) near Chingleput near Chennai is a well visited one. It has been glorified by the Tiruppugazh hymns of Arunagirinathar in the 15th century. 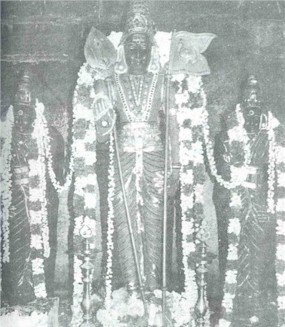 The sanctum here enshrines an imposing image of Subramanyar with his consorts Valli and Deivayanai . Kartikai asterism each month is of significance here. Skanda Sashti is celebrated in the month of Aippasi and Kartikai Deepam in the month of Kartikai.